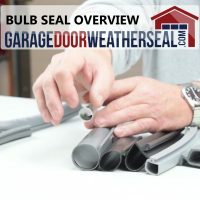 Garage Door Weather Seal – T-Bulb style. This weather seal slides into a single track on the bottom of the door. T measures – 1/4″ wide. Bulb measures – 1-1/2″ across. Length is at least 2″ longer than the size ordered allowing you to custom fit the weather seal to your application. We carry this style of bulb seal in 1″ & 1/2″ sizes as well. This is an excellent seal to use in vertical applications such as gates, counter shutters, sliding doors, windows and so on where a good seal is required. 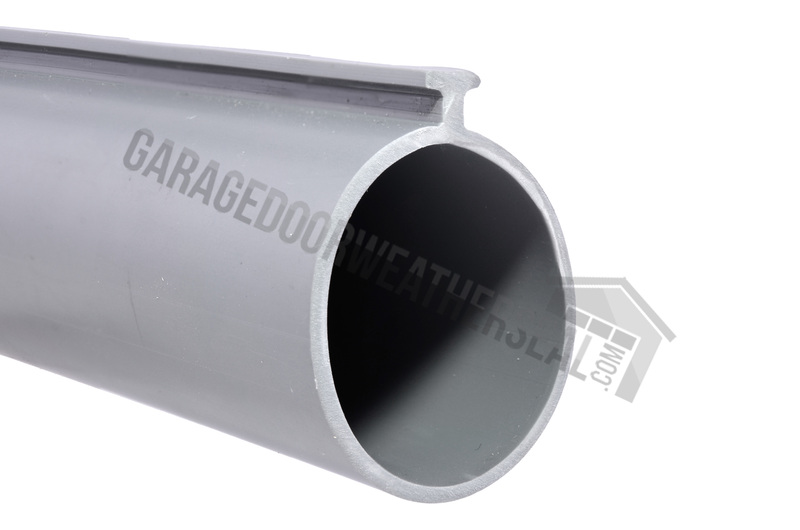 Matching this seal to any of our wide selection of weather seal retainers will allow you to use this weather seal in either vertical or horizontal positions. This is “T – BULB ” type weather seal. Easy to install, it slides into a single channel on the bottom of the garage door. 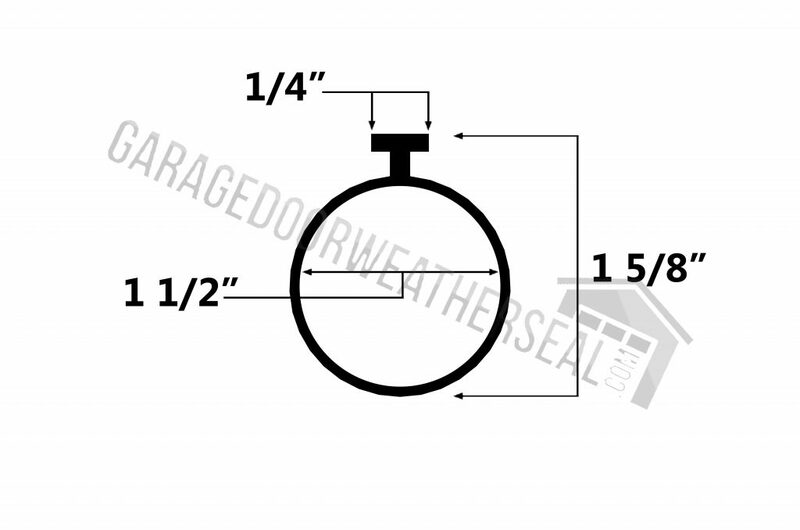 It is possible to convert from this style of weather seal to the more common T style U shape simply by replacing the retainer on the bottom of the garage door. If you have an uneven floor or other issues preventing you from sealing the garage door to the floor and this weather seal is insufficient, consider replacing the retainer to obtain an optimal seal. We offer complete weather seal & retainer kits, see our store category – WEATHER SEAL BOTTOM KITS for examples of our complete kits, we have several videos on our kits as well. 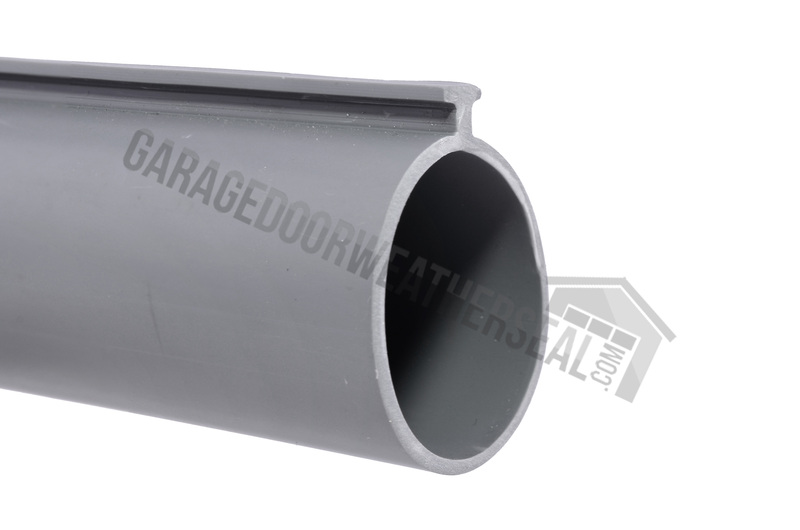 Under our store category – Weather Seal Retainer, you will find a wide variety of retainers that will allow you to use a vast array of different seals to virtually seal any door to any floor condition. 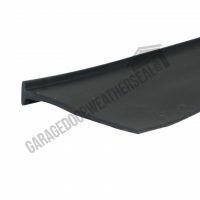 We offer weather seals in different widths, thickness, high quality rubber and vinyl. Just because your door is currently using this type of bulb seal does not mean your are limited to this type of seal. This product is available in up to 100′ continuous lengths, if you require a length that is not listed, drop us an email for a quick quote. Check out our videos on this and any of our products.